In the path of the successful box sets dedicated to the music from the films of Tarantino, The Woody Allen Experience is an exquisite box containing 6 cd's with 84 of the best songs from the films of the great director. In The Woody Allen Experience we find songs from Manhattan, Husbands And Wives, Stardust Memories, Radio Days, The Purple Rose Of Cairo, Alice, Sweet And Lowdown, September and many others, in very elegant versions by absolute legends like Billie Holiday, Duke Ellington, Ella Fitzgerald, Nat King Cole, Frank Sinatra, Louis Armstrong, Benny Goodman, Nina Simone, Sarah Vaughan, Miles Davis, and Josephine Baker, among many others. 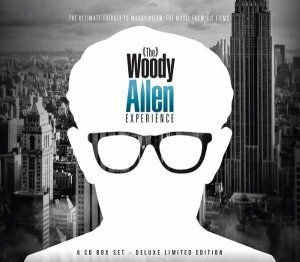 The Woody Allen Experience can reproduce the authentic New York atmosphere, the musical roots of Woody and his favorite songs, which he has selected for his immortal films.